If you have diabetes, it is important to have a podiatrist in Sugar Land who can attend to your specific foot health needs. This video explains why diabetic individuals are at greater risk for podiatric problems. Diabetes can damage nerve endings, making it difficult to sense pain from a foot wound. Therefore, you may not realize when you cut your foot or suffer an infection. Blood supply to the feet may also be poor due to the effect of diabetes on the cardiovascular system. So if you have a foot wound, it may take more time for your skin to heal. To ensure your wellbeing, find a foot and ankle specialist who understands the needs of diabetes sufferers. 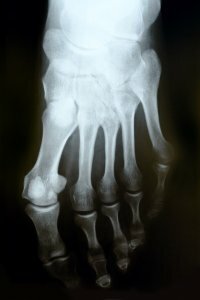 Your foot doctor can regularly check for signs of trauma or disease that may complicate your foot health.